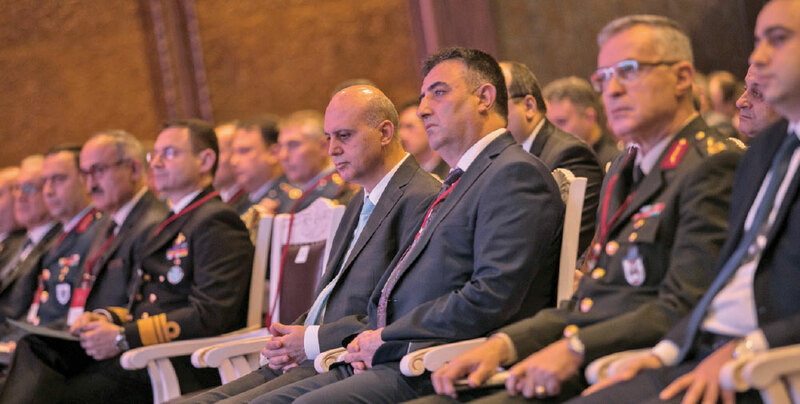 The 3rd annual Cyber Warfare & Security Conference was held in Ankara, on November 27-28, 2017 under the auspices of the Undersecretariat for Defense Industries; supported by the Prime Ministry, the Ministry of Transport, Maritime Affairs and Communications, the Ministry of Science and Technology, the Ministry of Development, Information Technologies and Communication Authority, TÜBITAK and SaSaD, and organized by Defence Turkey Magazine. The presentations were based on the 2017 Theme: “Strengthening the Cyber Security Ecosystem and Cyber Security Cluster”, “Increasing Competitiveness and Development”, with the participation of approximately 400 guests consisting of public, institutional and private sector representatives and senior officials. Opening speeches for the two-day conference were presented by Vice President of Information Technology Institute Mr. Ahmet Kılıç, Deputy Undersecretary of Defense Industries Mr. Mustafa Şeker and Keynote speaker, Director of NATO Infrastructure Services, Dr. Gregory B. Edwards. Mr. Ahmet Kılıç, Vice President of Information Technologies and Communication Authority (BTK), noted that the operations carried out from internet connected devices and the data produced are constantly increasing, and that cyber security has become a part of national security due to the risks of social and economic life. “The attacks cost more than $500 billion per year for cyberattacks, making attacks by cyber attackers easier with today’s technology, while the costs of protecting these against these daunting threats are increasing for nations and individual users.” He emphasized that cyberattacks will continue to increase and detection will become more difficult, and that new and up-to-date methods must be explored and used to defend them. The following the opening speeches, the Keynote Speaker- Dr. Gregory B. Edwards, Director Infrastructure Services, NATO, NCI Agency pointed out the agency’s contributions in cyber security for NATO. He noted that “Turkey understands that the threat is real and is involved and engaged as a nation, and as a military. I’m encouraged by that as I begin my presentation, talking about our contributions from an agency prospective to NATO. We think it’s important that we look beyond the horizon. Again, the threats are real. We have defenses in place today. We have capabilities in place today. But, in cyber security you are always thinking about the next step, being proactive in where we are headed.” Dr. Gregory B. Edwards elaborated on NATO’s mission of ‘Connecting the Force’ via the digital platform and the capabilities that they will modernize, resulting in cohesive services in NATO. Nations have come together to provide capabilities to NATO. Dr. Gregory B. Edwards stated “We worked with these nations under various programs to find where the capabilities can contribute directly to solving key problems in NATO. Cyber situational awareness is a key problem that we are focused on today. It is one that was brought to us by a group of nations. We implore the nations, bring us your capabilities so that we can use them to contribute to the defense of NATO.” The IT modernization Project is a large one that will allow NATO to consolidate a lot of the external servers and devices that they have throughout their enterprise into a more centralized managed environment, one that they can better defend. Dr. Gregory B. Edwards shared “When you develop the architecture for your enterprise we think it is important that you think about cyber security, that’s the beginning step. We’ll extend ourselves into the deployable space where nations contribute forces to execute missions for NATO providing mission assurance. This is our focus.” Dr. Gregory B. Edwards shared how the agency is moving forward in developing a digital platform and how they are posturing themselves to be able to defend that digital platform as modernization occurs. Specifically, NATO is imploring support from industry, nations and academia in order be able to move forward in their objective beyond the horizon. Following the opening speeches, the conference continued with panelists to discuss the topic of “Cyber Security and Defense Policies of Countries”, “Strengthening the Cyber Security Clusters and the Cyber Security Ecosystem” and “New Technologies in Cyber Security”, where the cyber security directors from different countries, experts, NATO and Turkish representatives came together. The first session of the conference, “Cybersecurity and Defense Policies of Nations”, was held with the participation of Rear Admiral Önder Çelebi- NATO Allied Command Transformation; Mr.Christian-Marc Lifländer- Head Cyber Defense Section Emerging Security NATO; Ms. Paula Walsh - Head of International Cyber Security Team UK Foreign and Commonwealth Office; Dr. Süleyman Anıl Retired NATO OTAN Head of Cyber Defense; Barış Egemen Özkan - Captain(N) OF-5 - SHAPE Cyber Operations and Exercise Branch Head NATO Allied Command Operations (ACO) and moderated by Mr. Mustafa Şeker Deputy Undersecretary of SSM. Day 1 - Session 2- “Cybersecurity Clusters: Collaborations to Strengthen the Cybersecurity Ecosystem” was held on by moderator Mr. Oğuz Babüroğlu- Arama Search with the participation of Mr. Javier Tobal- Program Manager Spanish Cybersecurity Cluster; Mr. Ömer Korkut, STM Deputy General Manager; Mr. Salih Talay - Cyber Security Group Manager of Havelsan; Mr. Hakan Terzioğlu- Hague Member – Entrepreneur – Bizneta and Mr. İlhami Keleş -Secretary General of SAHA Istanbul Defense and Aerospace Cluster Association. Mr. Javier Tobal, Program Manager, Spanish Cybersecurity Cluster discussed cluster participation in International activities, noting that their contribution to the Spanish GDP is almost 25% in the cyber security sector. The Cybersecurity Innovation Cluster of Spain (AEI Ciberseguridad y Tecnologías Avanzadas) is the association labelled as excellent by the Ministry of Industry as the National reference in the sector. The Cluster brings together around 90 members between large companies, SMEs, research centers, Universities, and other public and private organizations interested in promoting new technologies and business development in the cybersecurity and new digital technologies areas. AEI (the Cluster) is founder member of ECSO (European Cyber Security Organization), member of the Directors Board as well as member of the Partnership Board with the European Commission for the cPPP. The Cluster has a wide EU and international activity itself and through its members and is committed with development of projects and services for its members in collaboration with other Clusters. Mr. Javier Tobal noted that their success comes from the fact that “All member companies small and large have a willing mindset, they share opportunities, smaller companies can get income from projects by collaborating with other companies in the cluster.” The main objective of ECSO is to support all types of initiatives or projects that aim to develop, promote, encourage European cyber security. Day 1- Session 3- “Cybersecurity Clusters: Emerging Technologies for Cybersecurity”” was held by moderator Mr. Mustafa Dayıoğlu, Director, Cyber Security Institute, TÜBİTAK SGE with the participation of Dr. David Pickard, Manager International Security Programs, BAE Systems; Alper Botan, Director of Security Solutions, Thales; A. Metin Balcı, PhD, ULAK Haberleşme AŞ; Mr. Emre Tınaztepe, Director of Development, Zemane; Mr. Murat Hüseyin Candan, CEO, Barikat Internet Security and Mr. Abdullah Genceller, Project Support Engineering Director, sayTEC. In the beginning of the panel, moderator Mr. Mustafa Dayıoğlu briefly informed the participants on the new technologies emerging in the world regarding Cyber Security and address the question for the first panelist, the Director of Security Solution, Thales, Mr. Alper Botan about the requirements and solutions of Cyber Security and what type of cooperation they offered as a foreign company for the establishment of a national eco-system in Turkey. Underlining that the Ulak Commercial and Public Safety Base Station Project was initiated five years ago upon the directive of the Undersecretariat for Defense Industries and that the product was currently under testing stage with the participation of the Telecom operators, Mr.Balcı added that the activities were completed as part of the MİLAT project launched 3 years ago toward establishing national network technologies. Delivering a presentation on behalf of sayTEC Company, Director of the sayTEC Sales Support Group Mr. Abdullah Genceller stated that the number of the victims of cyber security in 2016 were 560 million people and added that besides the individual attacks, now institutions and companies were involved in cyber warfare. Mr.Genceller delivered brief information to the participants on sayTEC services provided and their products in this area and said, “I would like to briefly speak of how we protect our companies and our institutions as sayTEC. We have disk-based systems for keeping data. We also have our own patented technologies that we develop in certain layers. We work on securing the integrity, unity and non-revisability of data arriving at the center through the software we develop and we have an 8-stage security infrastructure to this end.” Underlining that they were able to encrypt all types of IP communications and provided services to their customers to maintain the security of mobile devices and camera systems, Mr.Genceller added that they were capable of providing the security of in-vehicle smart systems in an encrypted way with the help of their own software. At the end of the session, the panelists assessed and underlined that the governmental mechanisms, incentives and other means needed to be used more effectively for achieving more qualified human resources in parallel with developing technologies and it was agreed that creating an education methodology extending to the base and increasing the interest of the youth in high schools and middle schools were necessary in particular, to increase skilled human resources and awareness in this area. On day 2 of the conference Undersecretariat for Defense Industries (SSM) Cyber Security and Electronic Warfare Systems Department Head, Mr. Muhammet Sami Ulukavak shared opening speeches with participants. The main theme of Strengthening the Cyber Security Ecosystem and Cyber Security Cluster, Increasing Competitiveness and Development was discussed. The Academy of Public and Private Sector Workshop took place before the conference, exploring the results of Cyber Security Cluster model studies for establishment a Cyber Security Cluster in Turkey. Following the opening remarks on day two, the session was conducted under the title “Cooperation of the Government, Academia and Industry in Cyber Security.” Assoc. Prof. Bilgin Metin from Boğaziçi University, Head of the Department of Information Society at the Ministry of Development Mr. Furkan Civelek, Director of Cyber Security and Big Data at STM Dr. Emin İslam Tatlı and Assoc. Prof. Ahmet Koltuksuz from Yaşar University attended as panelists during this session. Underlining the urgent need to fill the gap between the theory and practice, Prof. Metin told that as Boğaziçi University they planned to create an atmosphere that would increase the practice of the students within two-year period through increasing such implementations. Prof. Metin said that they provided scholarships to the students with the help of the sponsorships they received and that these students seized the opportunity to practice in certain projects at the summer camp they held this year and expressed their wish to increase such examples. Director of Cyber Security and Big Data at STM, Dr. Emin İslam Tatlı shared his views considering the model needed to be formed for the development of the cooperation among University, Academia and Industry with the participants in his presentation. Assoc. Prof. Ahmet Koltuksuz from Yaşar University made a presentation covering a concrete example regarding the cooperation between University and Industry. Upon the completion of the first session of the day, the second session was held under the title “Cyber Security Clustering through the academic perspective.” This panel was moderated by Dr. Ahmet Ercan from Yıldırım Beyazıd University and President of the Northern Cyprus Campus of the Middle East Technical University Prof. Nazife Baykal, Head of the Information Technologies Department at the Prime Ministry Mr. Alpaslan Kesici, Cyber Security and Protection Projects Manager at the SSM Mr. Mustafa Özçelik, ODTÜ Teknokent Deputy General Manager Ms. Hanzade Sarıçiçek and Havelsan R&D Technology and Academy Director Assoc. Prof. İzzet Gökhan Özbilgin attended the session as panelists. In the session, discussing how clustering should be established through the perspective of the government, university and industry, Manager of Cyber Security and Protection Projects Manager at the Undersecretariat for Defense Industries Mr. Mustafa Özçelik took the floor initially. Mentioning that she witnessed numerous areas and functions under the Cyber Security Cluster in the presentation at the morning’s session, Ms. Sarıçiçek said that this structure will require a more comprehensive management structure. Ms. Sarıçiçek also noted that as the activities of the cluster increased during the process, the management structure may be strengthened gradually. At the end of the 3rd International Cyber Warfare and Security Conference, a goodwill agreement was signed between the Undersecretariat for Defense Industries and the Middle East Technical University (ODTÜ) and Istanbul University (ITU) for the formation of a working group on the cyber security academy for the elimination of human resource deficiencies within the cyber security cluster. 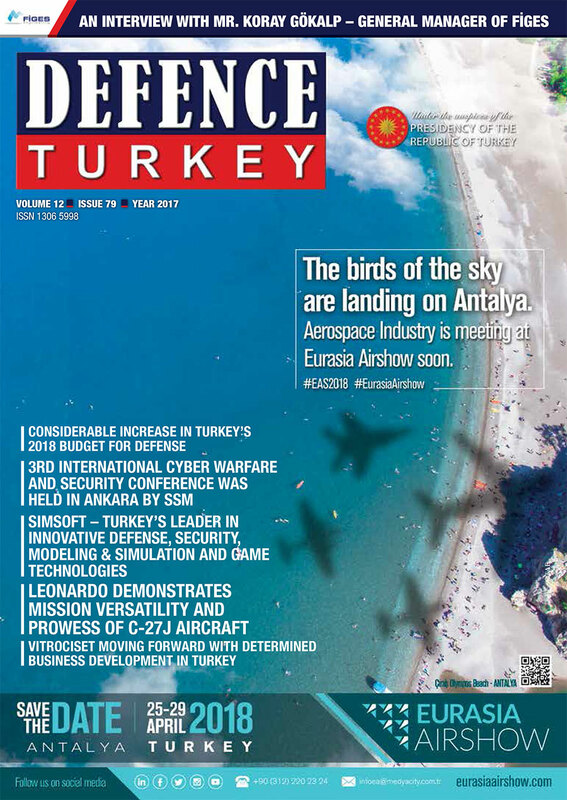 According to the goodwill agreement, for the immediate improvement of Turkey’s lack of human resources in cyber security, joint activities are to be conducted by forming a cyber security academy workgroup in order to inform the decision makers regarding the establishment of a model for an academy, identification of a strategy and a road map and the assignment of roles. According to the declaration made to the public opinion by the Deputy Undersecretary for Defense Industries a cyber security cluster will be established. Mr. Mustafa Şeker noted that for the establishment of this cyber security cluster, initially a founding board of directors will be formed by the relevant shareholders and by this board the activities for the establishment of a foundation, which will be in charge of the management, will be launched. Companies conducting product development and providing services through domestic and national resources will be identified and included in the cluster as per the conditions of becoming a member.